Silver napkin ring with MADAME engraved on it found in the brocante in Provence last summer. I’ve always had a love of decanters, I’ve ordered house stationery from Smythson’s of Bond Street, I’m airing out my sheets every morning and I’m already big on room sprays and scented candles and diffusers. 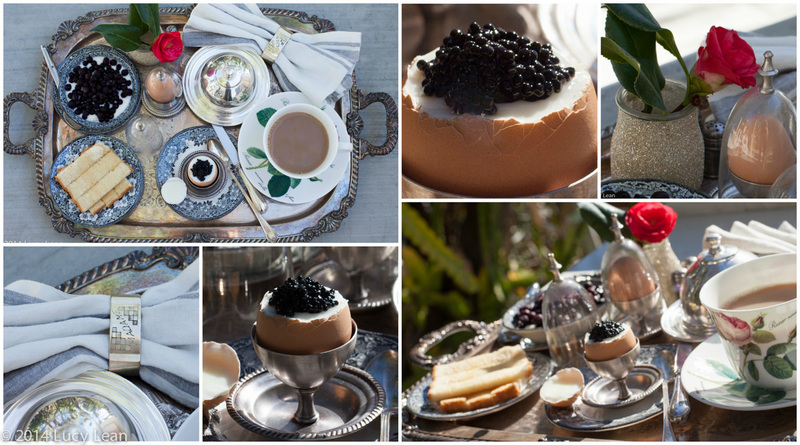 I’m all over dipping handkerchiefs in eau de cologne (One of the advantages of being married to such a cosmopolitan French/New Yorker is he always has a real handkerchief in his pocket) – so I’m taking a tip from Vita Sackville West and I’m embracing the art of the breakfast tray and going all out to make life as pleasant as possible. 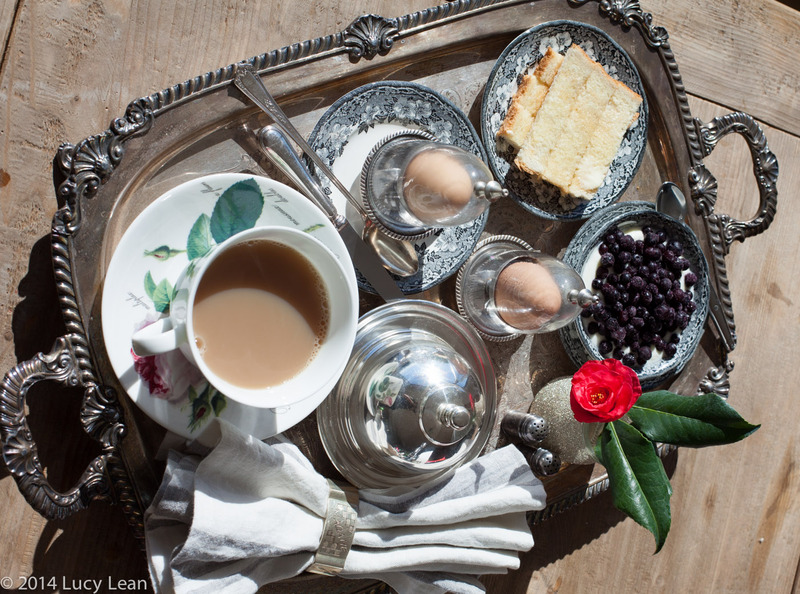 A silver tray – preferably antique and very frilly! 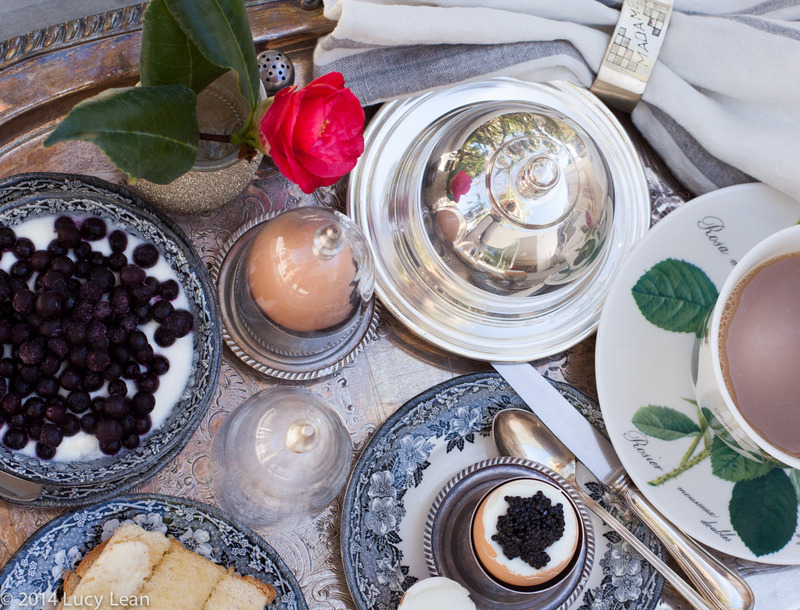 Lots of silver – spoons, knives, salt and pepper pots and preferably some cloches. 1. Bring a pan of water to a boil and add a pinch of salt. 2. 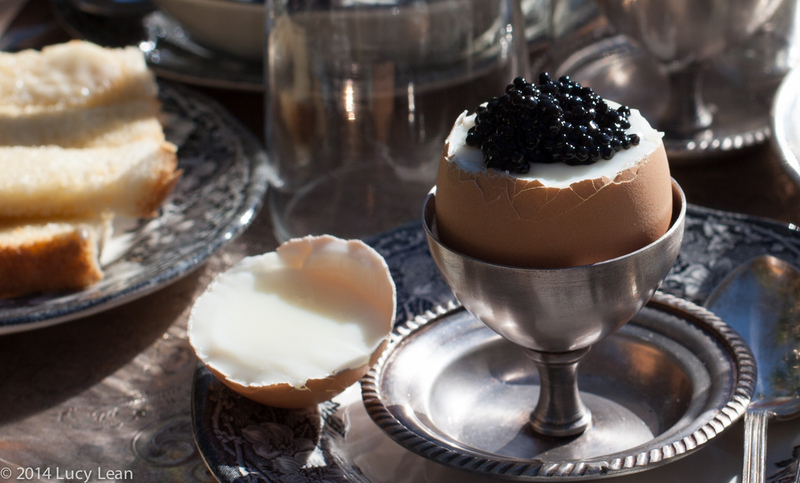 Gently place the two eggs into the boiling water and cook for exactly 5 minutes for the perfect soft boiled egg. Whilst the eggs are cooking I lightly toasted and buttered some white bread with very cold salted butter. I cut into soldiers and put on a little plate Jenga style. 3. 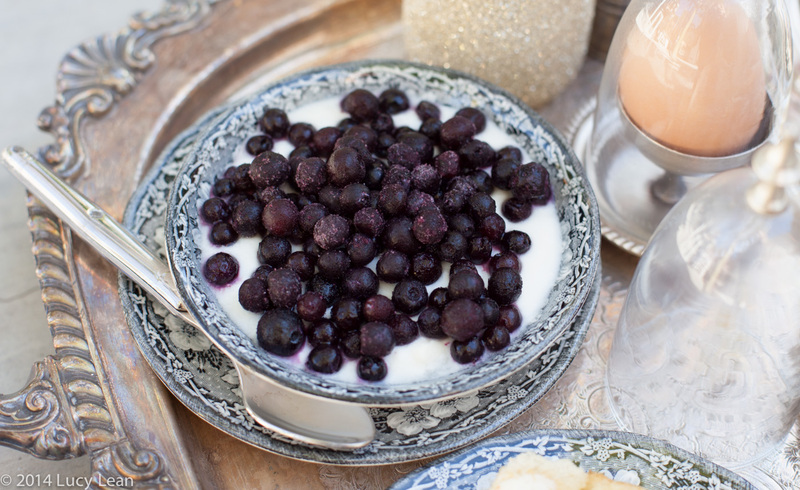 I transferred the yogurt from the glass jar into a pretty dish and topped with frozen wild blueberries. 4. 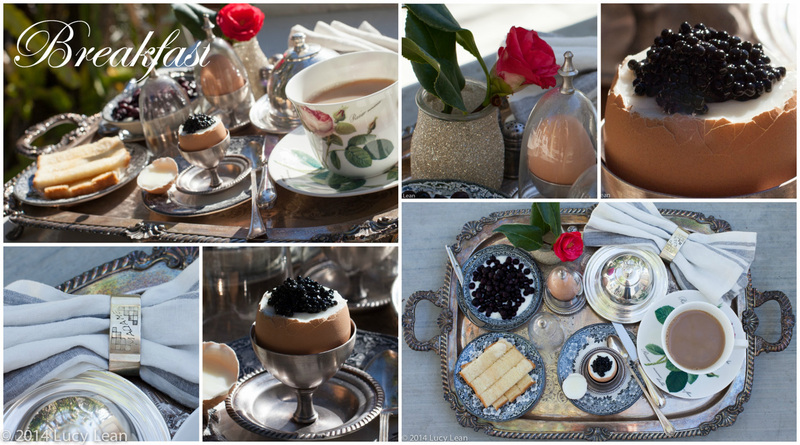 After 5 minutes remove the eggs from the water with a slated spoon and place in the egg cups. It’s important to stop them cooking – a quick swipe to the top with a large knife will reveal the deep yellow yolks. 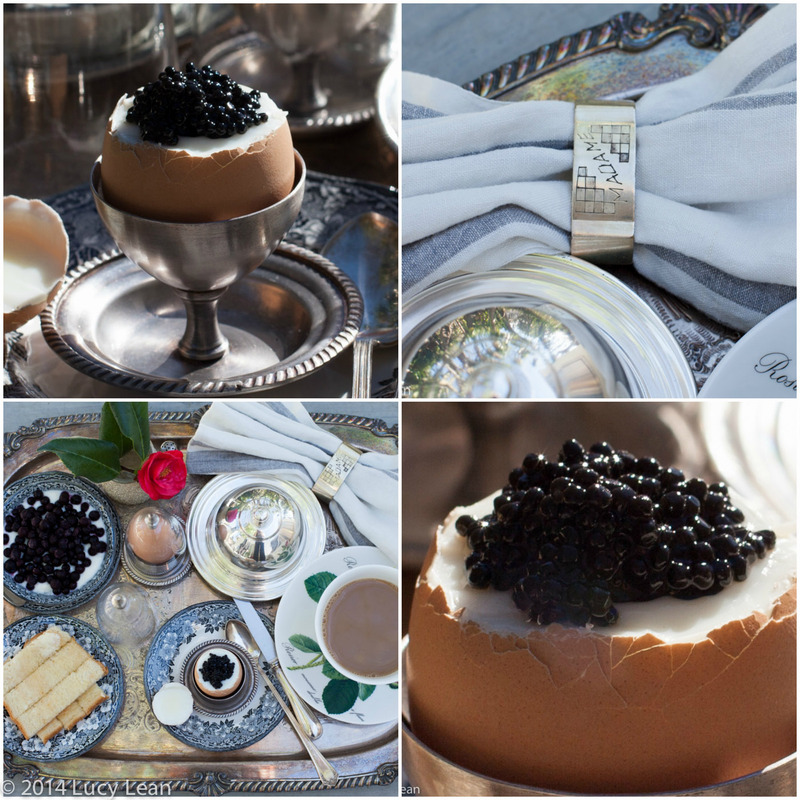 I placed one under the glass cloche on the tray and topped the egg with a generous teaspoon of caviar. 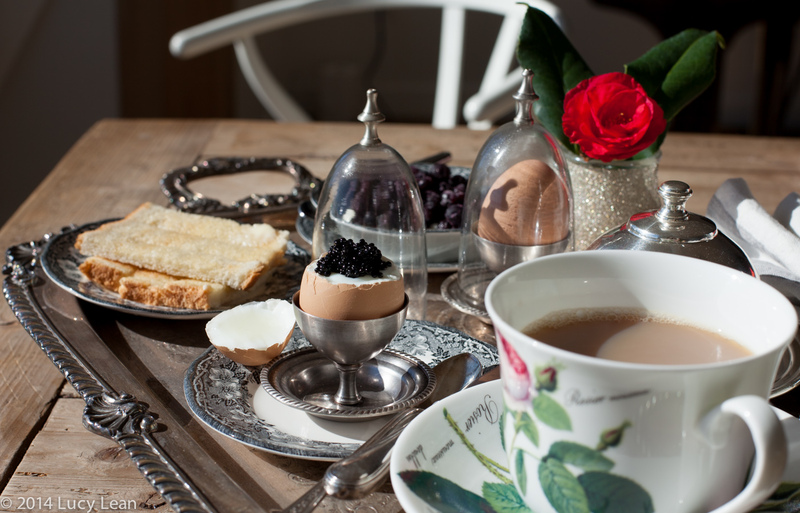 5 I then sat back and thoroughly enjoyed as the family all looked on jealously at my extravagant luxurious breakfast. 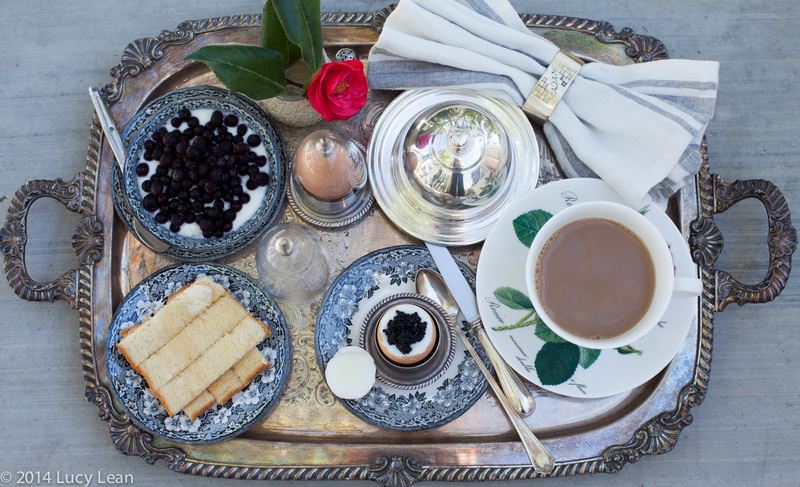 Minty set about making her own luxurious tray and Rémy asked for an egg and soldiers from my tray. He said it was like being at Lucknam Park and we all decided we would return their someday soon. Tomorrow when I ask if anyone wants an egg I know they will think twice about reaching for a croissant!